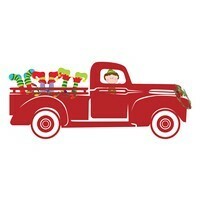 Whatever you need Christmas trucks for, here they are! 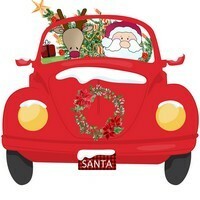 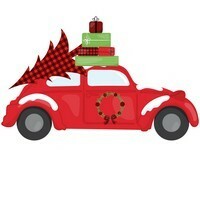 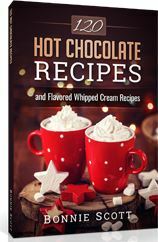 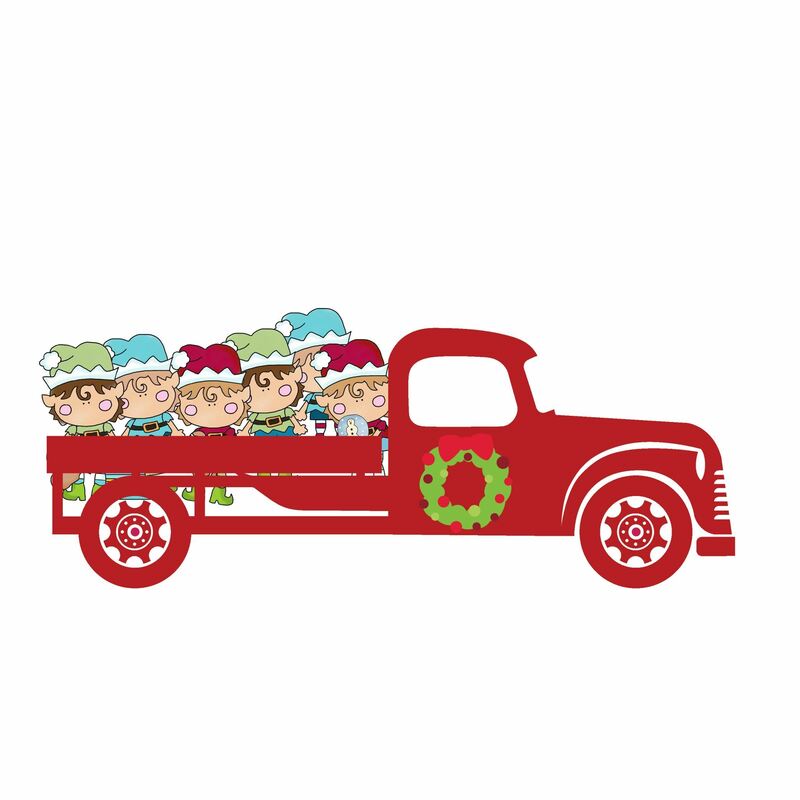 Just print or download the Christmas truck images of your choice and use it for crafts, Christmas decorations, Christmas tree ornaments, sewing patterns, Christmas stocking patterns, wreath decorations, table decor, gift decorations, yard decorations, sew onto a tree skirt, greeting cards, wherever you need some updating this holiday season. 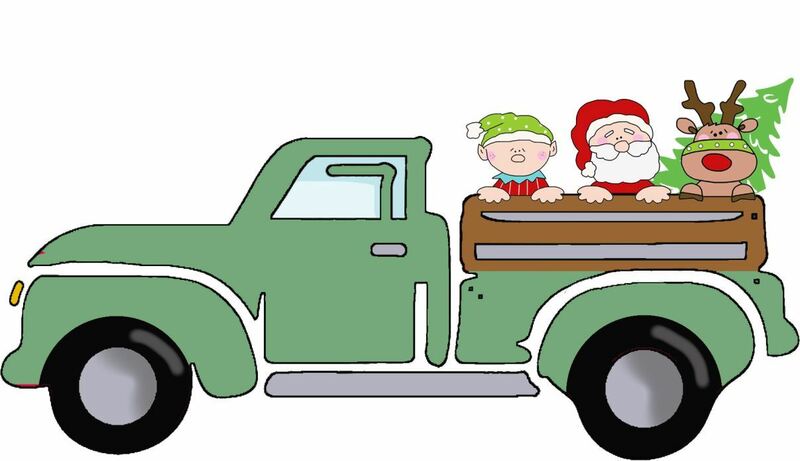 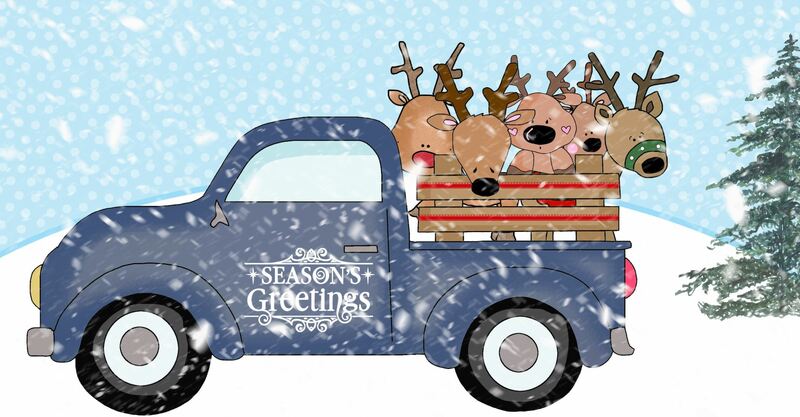 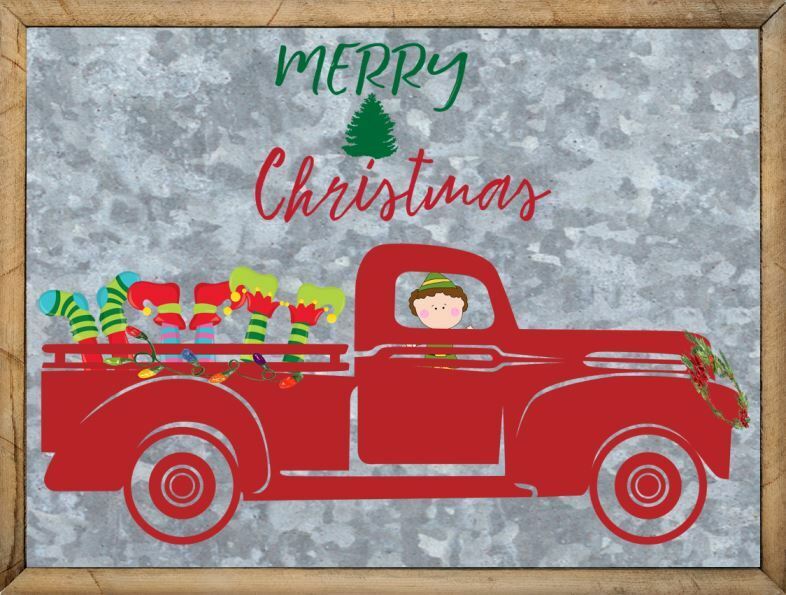 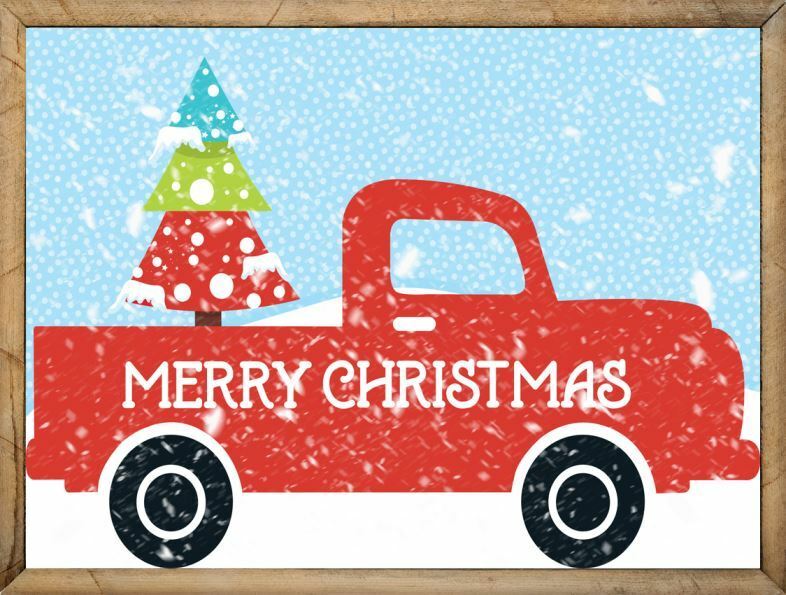 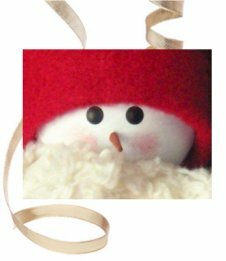 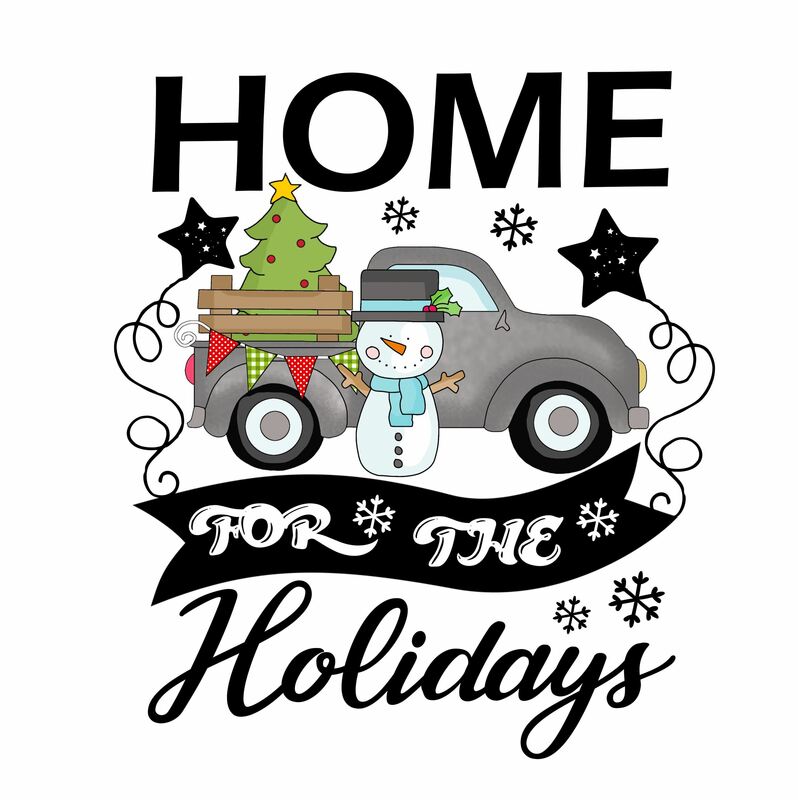 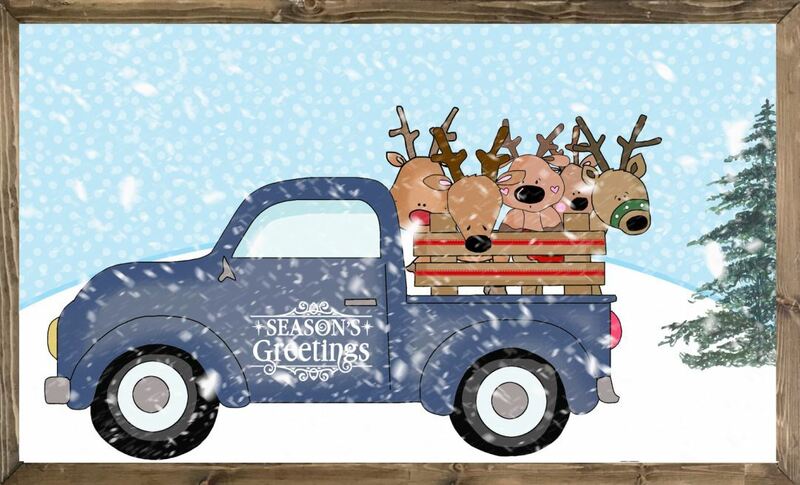 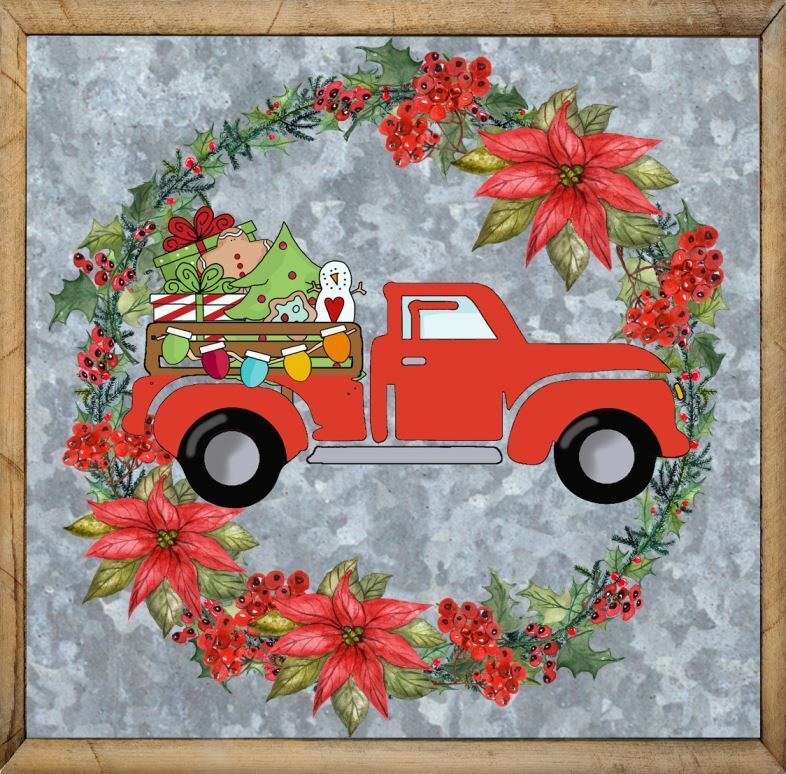 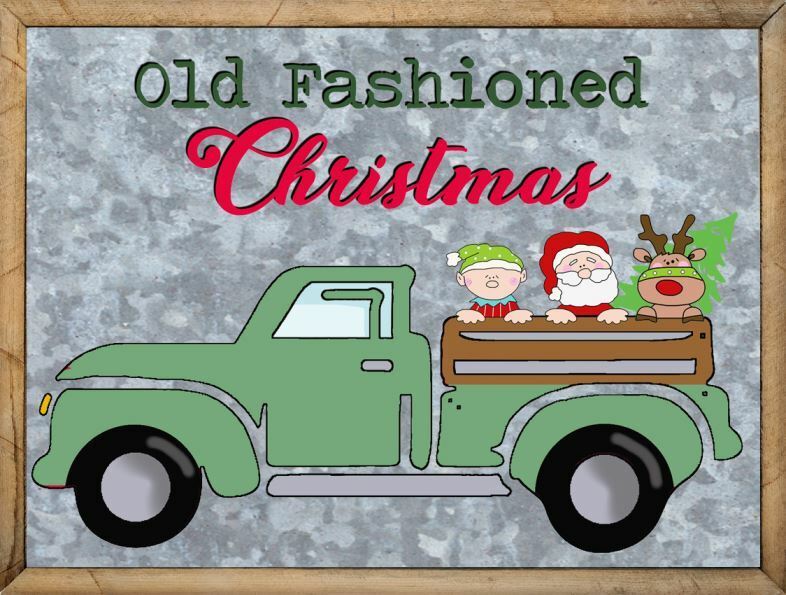 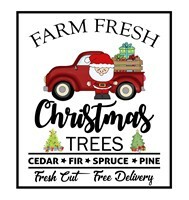 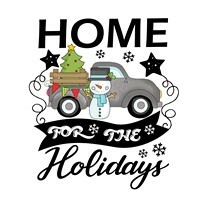 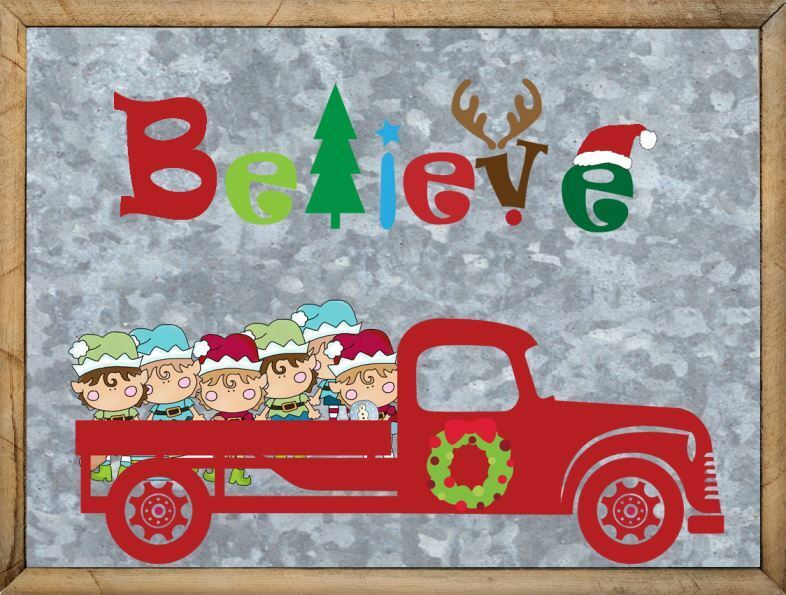 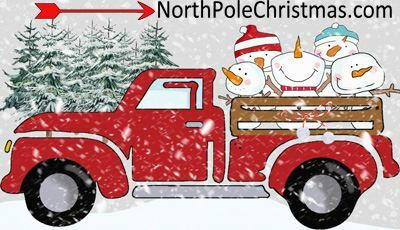 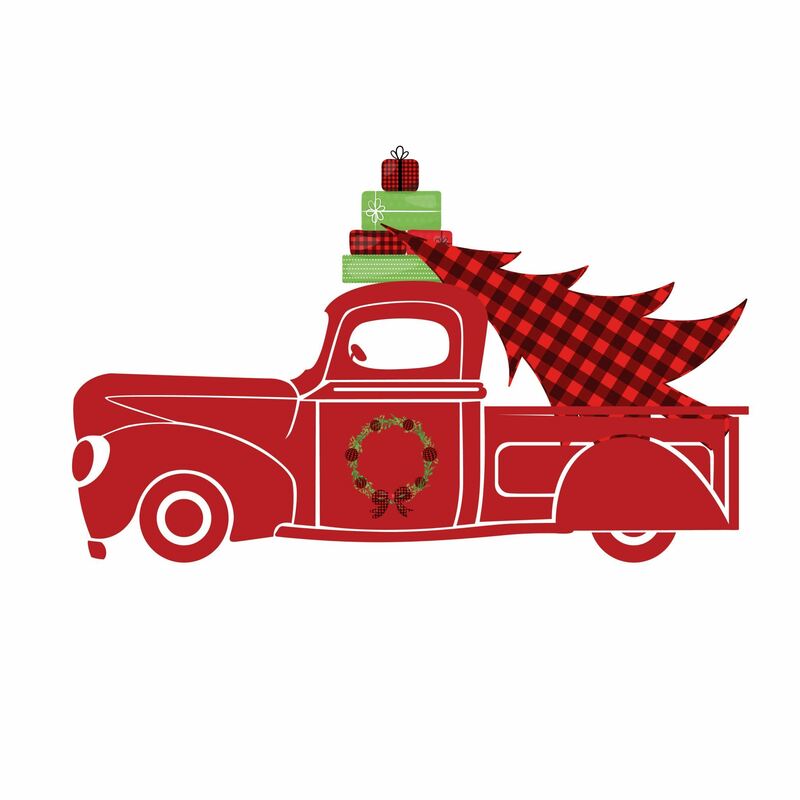 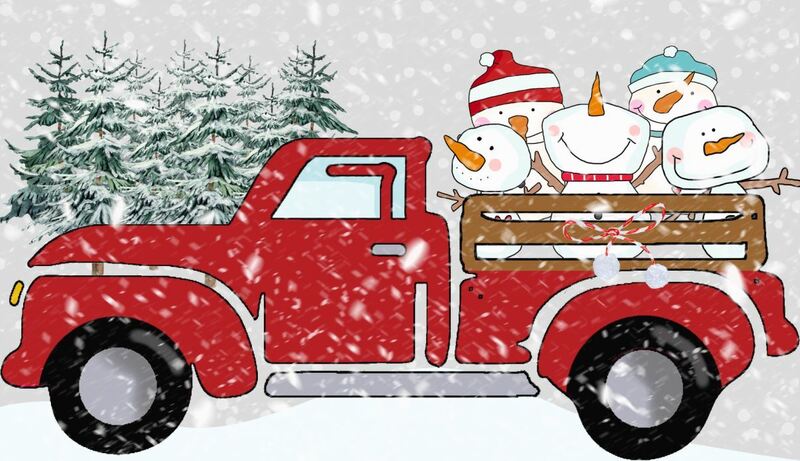 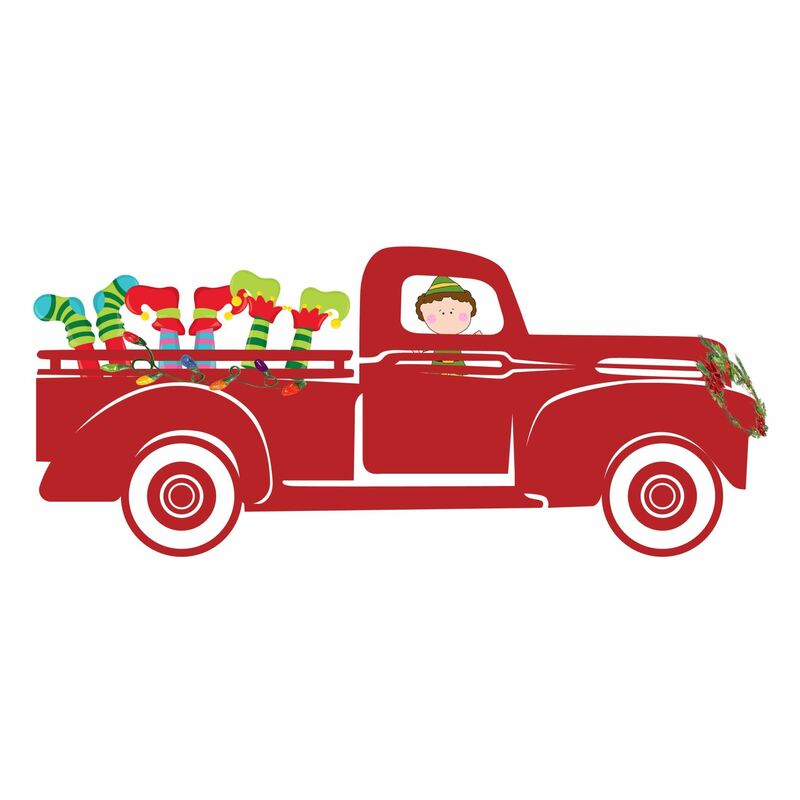 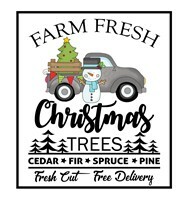 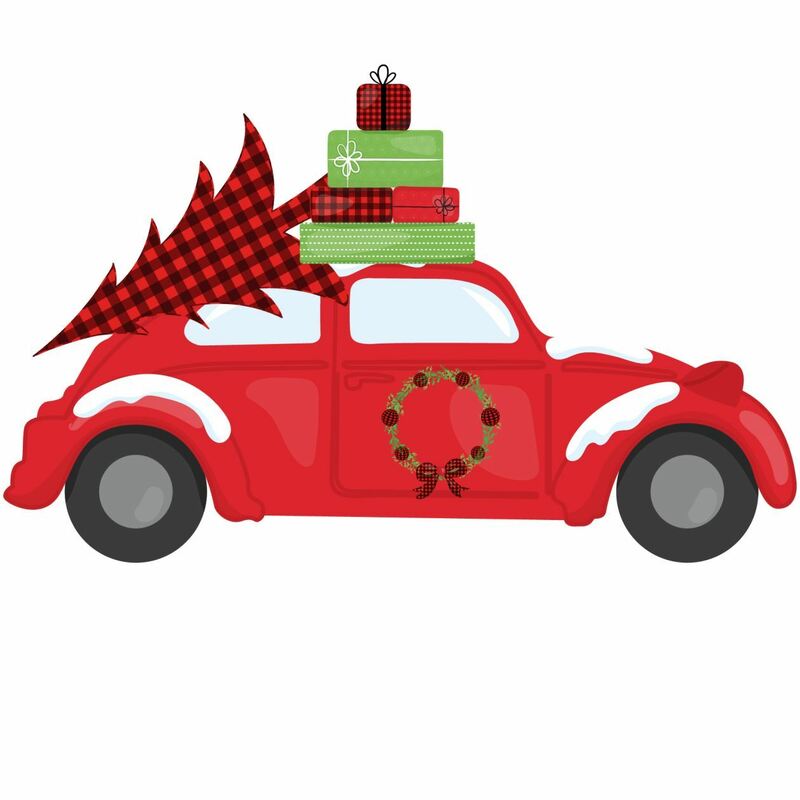 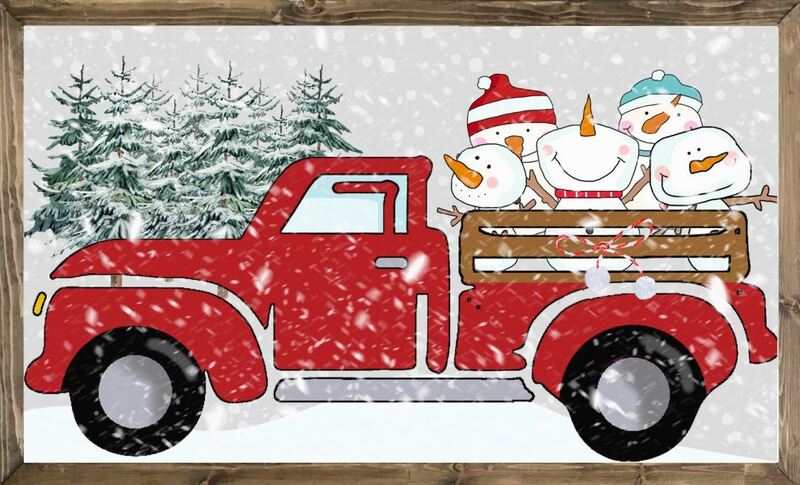 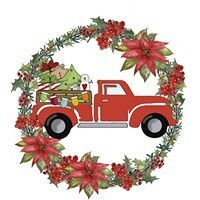 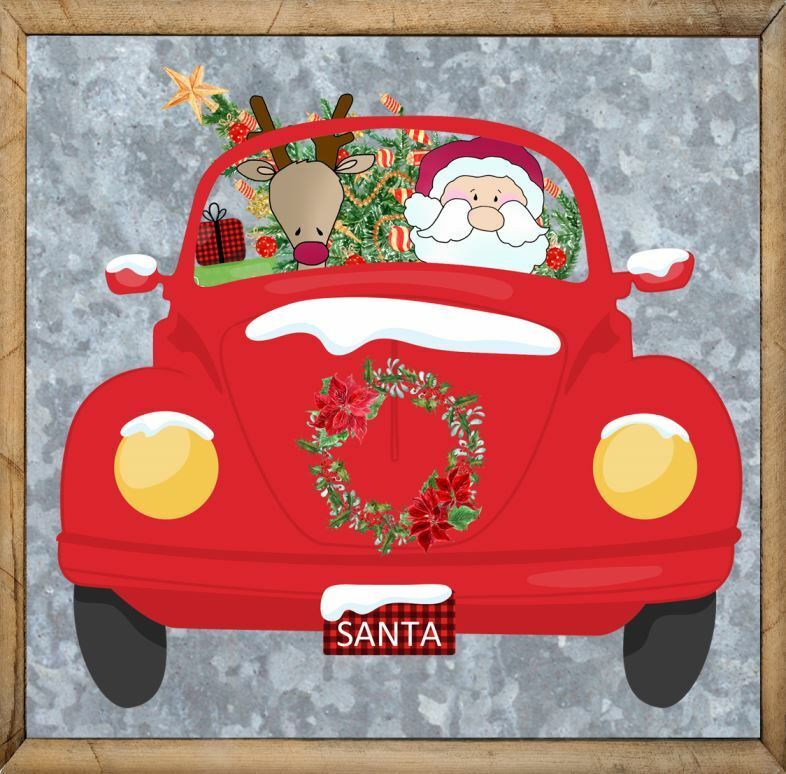 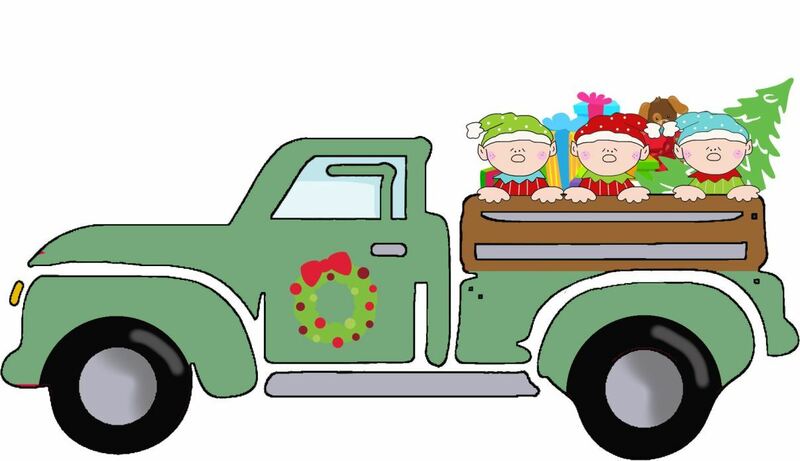 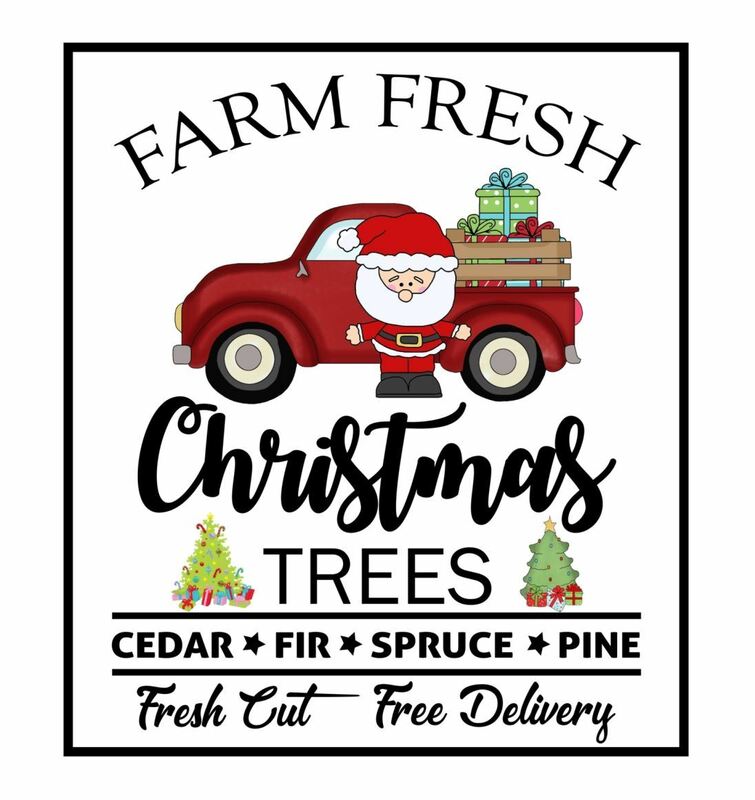 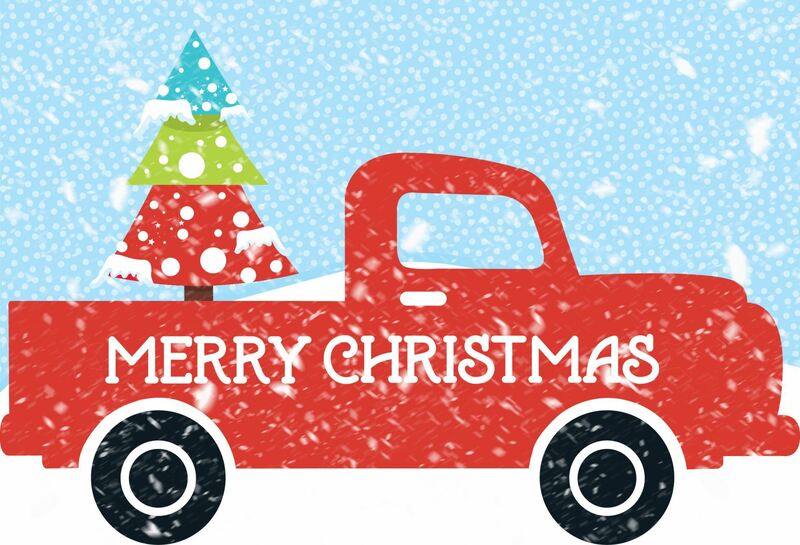 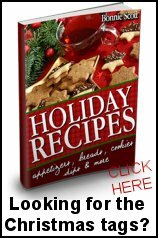 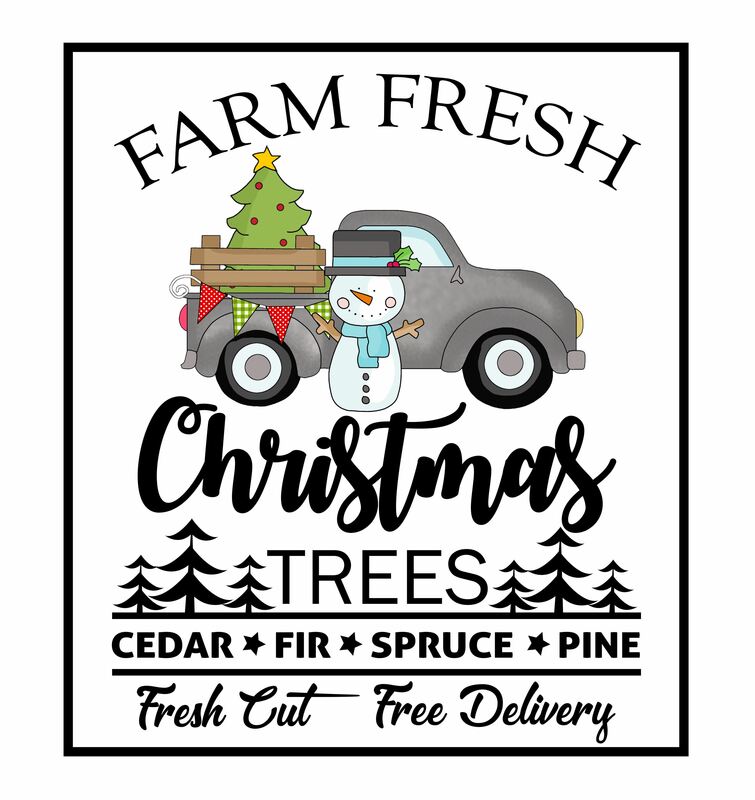 Each Christmas truck graphic is available to download or print as a high resolution jpeg file, large enough so you can save it and open in a graphics program and resize without image degradation. 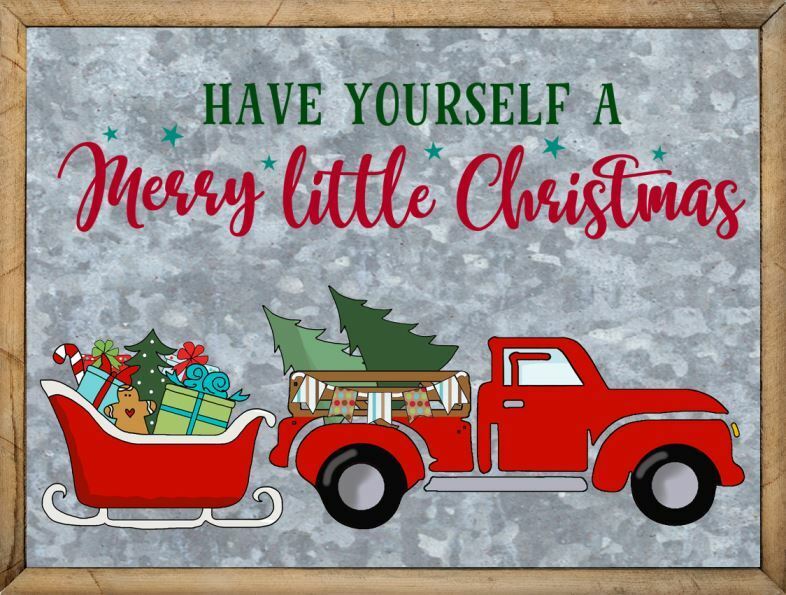 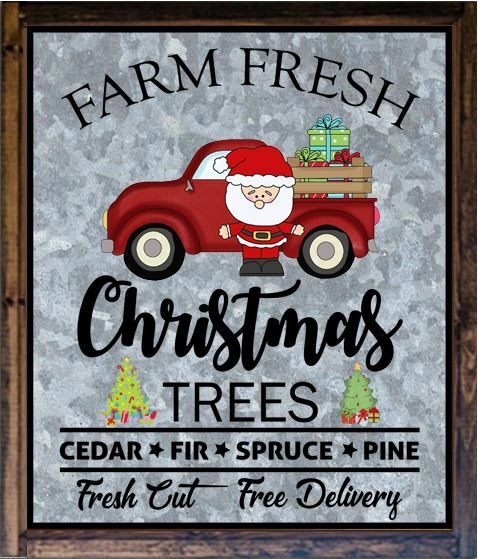 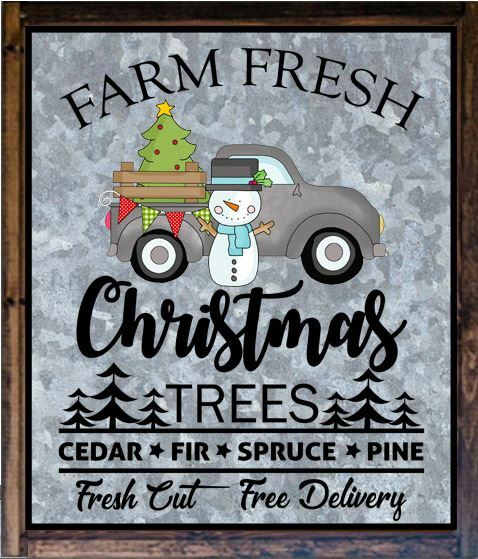 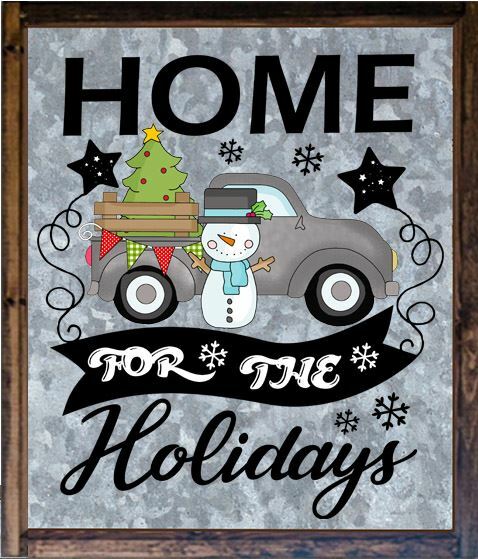 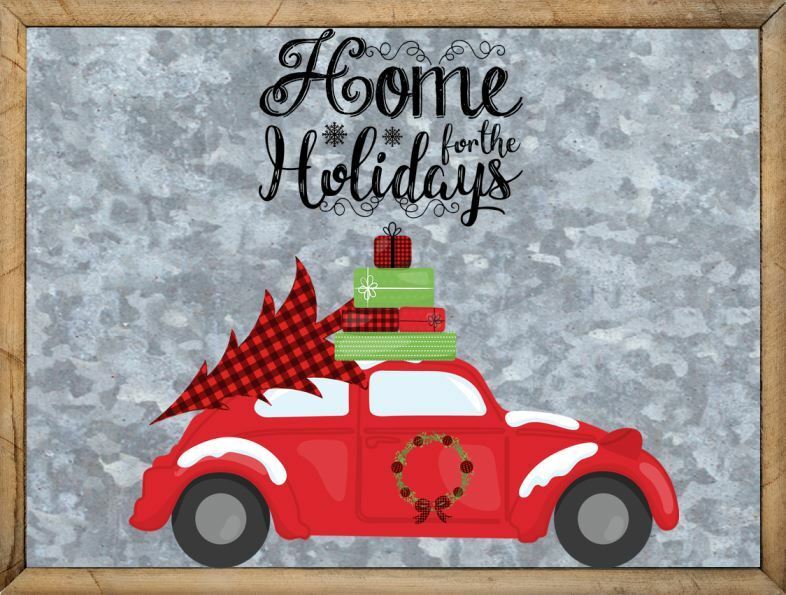 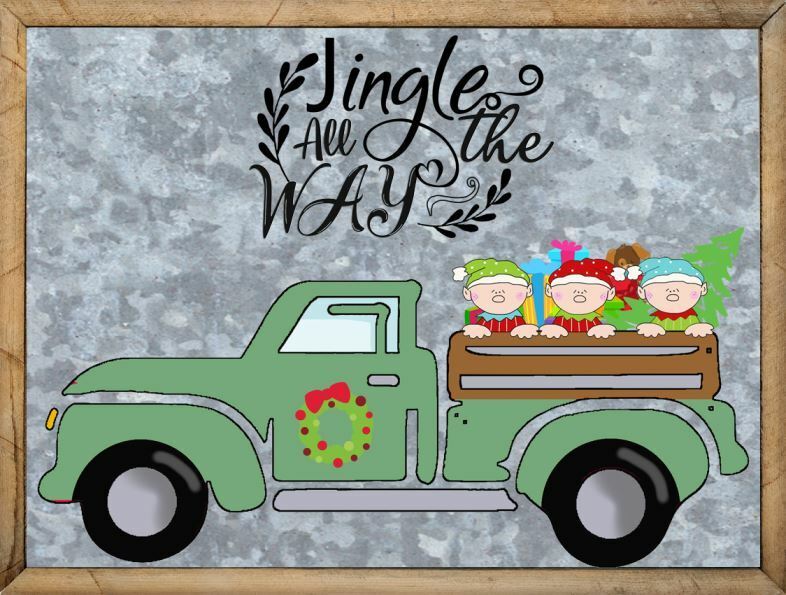 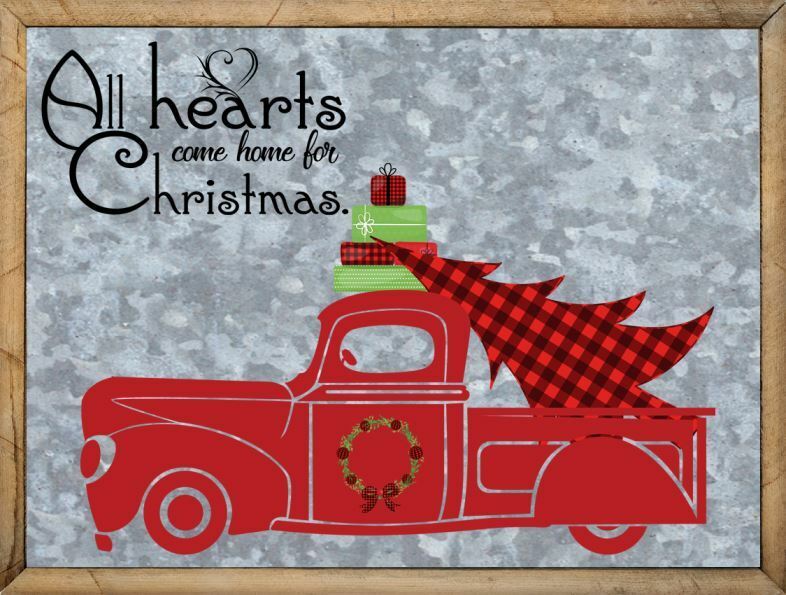 The free printable Christmas trucks can also be printed as a metal sign which has the text and graphics already inserted on a metal background with a frame...ready to display.